Share if this was useful! You probably wonder whether you’re paying too much interest on your debt. Well, statistically speaking you probably are. …and help you pay down your loan faster. Today I’m going to teach you exactly how the refinancing process works. And whether it’s right for your situation. Why Would You Want To Refinance? 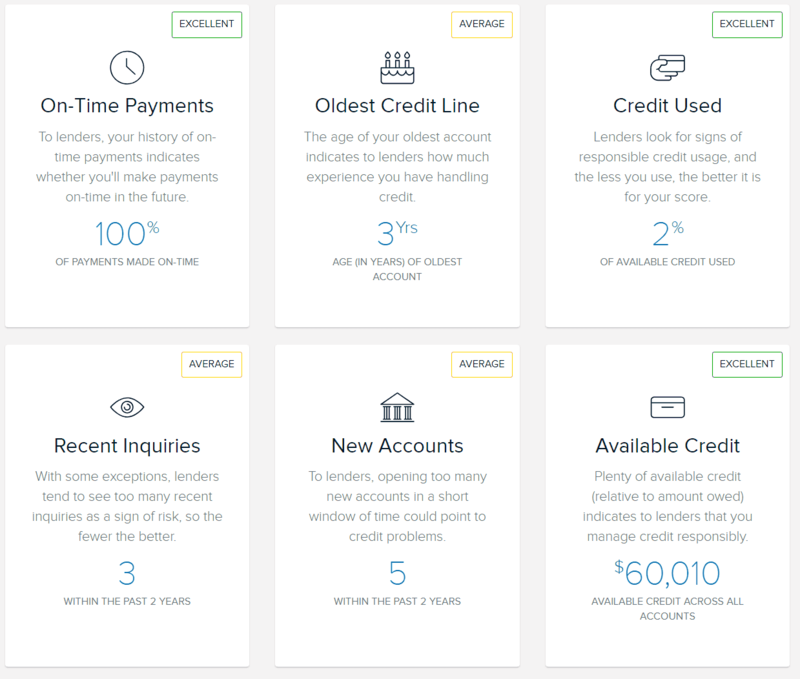 Below are our awesome refinancing calculators! The calculators are interactive and will customize your reading experience in this article. Before using the calculators I highly recommend you read through the instructions right after this heading. The text below underlined with a dotted green lineYes, just like that! is clickable (try it out). If you click on something and nothing changed, you might need to swipe. Simply click or press down on the green text and drag your mouse or finger and the values will change. The data below is pre-populated, but you can change the values for your own refinancing journey as we go along. We will store the data you enter in a cookieNOT store the data you enter in a cookie so if you come back your information . We will not store any identifiable information on our servers. At any point you can always resetreset the data. I'm a year old womanman and I currently earn about $ per year. Today I'm going to learn all about refinancing my student loanmortgagecar loan. The first thing to understand is that there are many variables which you need to consider when looking to refinance. We’ll dive into more of them later, but first here’s the refinancing calculator looking at only the difference in the interest rate. The current settlement value of my loan is $. It carries a % interest rate payable over months (periods). Without debt you would never need to refinance. For thousands of years people have been borrowing money. It’s TOTALLY normal to borrow money. Tons of so-called personal finance “gurus” advocate never going into debt, but for most people that’s simply not an option (and that’s ok). In this Chapter we’ll dive into how the money lending system works. So how does debt really work? It’s actually MUCH simpler than you think. There’s two types of people, depositors and borrowers. Depositors look for a safe place to store their money and earn a return and borrowers are in need of money. The best example how of this works in the real world is the traditional banking system. The bank acts as an intermediary and services both people by offering a safe place to store money and allowing people that are in need of money to take out a loan. …and another rate to the lender. The bank then makes money on the difference between the two interest rates. So the money you are borrowing is essentially being lent to you from someone else’s deposit. So? How is this relevant to refinancing? Well, It is critical to understand how the lending system works to understand why refinancing is even an option. Lenders will try to maximize the amount of interest they charge you to earn more profits for their shareholders. Fun Fact: During the Great Depression many banks closed down because they did not have enough cash on hand when people tried to withdrawal their money. Today, fractional reserve banking sets limits on how much banks can lend out and how much cash they must have at any point in time. After going through how debt actually works in Chapter 1, you now have a good understanding of how banks make their money. So what is refinancing and why would you want to do it? Refinancing can decrease your interest rate, monthly payment and save you a ton of money. So why would a lender agree to this? When you took out your original debt, you signed an agreement. Refinancing is the process of altering the terms of the original agreement by means of a new contract, usually with a different interest rate, payment schedule and lender. You chose to renegotiate the terms of the original loan. In the refinancing calculator above, you said that you got your loan of $. Let's assume it's from Bank ABC. The bank gave you a loan from the money that a depositor put in their savings account. Bank ABC originally loaned you this money at a % interest rate. However, Bank XYZ (a different bank) also has money it's received from another depositor and they're looking to make money as well. This means they would happily (all other things equal) loan you the same about of money for a lower interest rate- just to get your business. So what happens to the original debt of $? Bank XYZ will pay $ to Bank ABC and relieve you of the original debt. You'll then owe Bank XYZ the $. Pro tip: Refinancing is actually very competitive for lenders so normally you can even earn a refinancing bonus when you switch banks. This boils down to your specific circumstances. So Is Refinancing Worth It? As you can see, there’s a ton of variables that can go into the refinancing equation. While this guide isn’t going to go through every aspect, you can research specific factors that may apply to you. This information may help you get an idea as to whether you should refinance, however the calculations on this website are subject to individual circumstances and factors. Consult your financial planner. Say you’re not sure about what having equity in your loan means, a quick Google search reveals that having equity in your loan means that your loan value is worth less than the market value of your asset. After calculating that you meet this criteria, you’re well on your way to refinancing that loan! Refinancing is not for everyone. In fact, in many cases refinancing will actually cost you money instead of saving you money. So how do you know if it’s right for you and your loan(s)? It comes down to the math – and to be honest, it’s really not as hard as you may think. Your credit score could be the ‘be all and end all’ for whether refinancing is going to be worth it. Your credit score is ultimately how trustworthy lenders think you are. Knowing how to get and maintain an excellent credit score is going to give you leverage when you need to borrow money. Below in chapter 3 is what you need to know. It makes a lot of sense that your credit score plays a major role in your decision to refinance. In fact, I would say it is probably THE most important factor. At least to the bank. In this chapter I’m going to break down exactly what you should be thinking about. All other things equal – when a lender provides a decision on whether they’re going to lend you money or not, they consider your credit score and your debt to income ratio. Sure, how much you actually earn comes into play, but it’s surprisingly not as important as these two factors. So when you got your original loan, the lender would’ve considered your credit score when they lent you the money. You probably now have more debt now than when you originally took out your loan, so your debt to income ratio is probably worse. Ultimately you need to ask yourself if your credit score really improved enough to move the needle. So how do you know if it’s changed enough? The best way is to login to your credit card provider’s online banking and check your credit score. You’ll see a history of the score over a period of time so as long as you know when you originated your loan you’ll be able to know how much your score has changed. If your score decreased, remained the same or only moved slightly, it might not be a good idea to refinance until your score improves. ALWAYS pay on time, even if you only make minimum payments. Try pay your balance off in full, carrying a balance will cost you thousands of dollars in interest. Keep your monthly balance below 10% of your total facility. Warning: Following these instructions could actually cause your credit score to decrease over a shorter period of time. Long term it’ll help build a good credit profile. Time is another major factor in your credit score so get started as soon as you can! So, your credit score increased and you want to refinance- how much will your interest rate change? It’s almost impossible to put a figure on how big or small your savings could be but ultimately you’ll see the biggest change if you move from one bucket to another- e.g. from Good Credit to Very Good Credit. Apart from following the advice above, there are some great tools for making sure you’re on track. From Capital One, CreditWise is a great way to monitor your credit and look for improvements in your credit profile. You simply sign up for an account with them and it’ll pull recommendations based on your specific circumstances. You won’t take a hit to your credit and it’ll even offer suggestions on how you can further improve. There are other tools you can use to check & learn about your credit score, first check with your bank. They probably have a tool you can use to learn about your credit score. Implement the changes and you’ll be surprised how quickly your score will improve. Just like germs, there are good and bad kinds of debt. Depending what kind of debt you have you might have other options available to you that might be slightly unconventional to tackling your debt. First you need to assess what kind of debt you have and then determine whether you can live with it. In a ton of cases you can normally get rid of debt you don’t want by being a bit creative. Katie and I have first hand experience in this. Good debt is typically debt used to fund an income generating asset. This is typically things like a mortgage or a student loan. However, even though I’m labeling it “good” debt, that does not mean you should take out more than you can realistically afford. …Some debt is worse to have than others. As an example having credit card debt that carries a 24.95% APR that was used to finance a shopping spree is probably not worth having because you’ll pay a really high amount of interest on those purchases. Cars are also not great types of debt, but I get it- you need a car to get to work so that you can earn a living. But I’m talking about is when you purchase an expensive car, when all you need is a run-around. The reason is simple- cars are depreciating assets, so every month you will be losing money. So what are your refinancing options for different kinds of debt? Credit Card– Do a balance transfer to another card. You’ll typically pay a transfer fee but often you’ll be able to avoid really high interest rates. Student Loan– Depending on whether you have federal or private student loans, you will have different options. You can refinance both types, however if you have federal loans, you may not want to refinance as you’ll then be unable to take advantage of any loan forgiveness programs. Mortgage– Refinancing your mortgage can make a major difference in your cash flow but there are usually a ton of costs associated with originating a new mortgage. Costs typically include application fees, title insurance, title search, lender’s attorney review fees and points and fees incurred in loan origination. You definitely want to save money if you can as your house carries a huge repayment, but understanding all the costs is very important. Car Loans– Similar to refinancing your home or student loan, this will cut down your monthly payment, thus making it more manageable to pay off sooner. If you decide that refinancing is the correct decision for you, the first thing to do is collect the paperwork you will need. Next, you will want to be familiar with your credit score- remember, when it comes to refinancing, your credit score plays a huge role in the new rate that you will receive. Lastly, do your research and apply to a few different places to see who will give the best rate. When you make a credit application, it will only count as one pull within a 2 week period if you pull your credit several times. When you have a low credit score or any sort of negative equity, it seems as though life is out to get you. Now, all of a sudden it is incrementally more challenging to get a loan- and when that loan does come, it is usually with a much higher interest rate. So how do you get out of the sin-bin? Like with any big goal, it is best to break it down into smaller, more manageable stepping stones. When you have bad credit, you feel like the world is against you. BUT the worst thing you can do is panic. Start slowly building up your credit and soon you’ll be able to refinance. Also, while trying to bring your score back up, remember to frequently check in on it. You can do this simply by logging onto your online credit card account. Checking your credit score on your credit card statement won’t count as you performing a hard or soft pull. Therefore, you can check in on it monthly without jeopardizing your efforts. If you have negative equity, firstly don’t feel bad. Roughly 23% of Americans have some sort of negative equity to their name. This may feel like the end of the world, but it isn’t. If you have negative equity, a lender won’t let you refinance until you have equity in that asset. In other words- your original loan value can’t be more than the market value of the asset to the lender. Katie, a school teacher found herself having $20,000 worth of negative equity on a car loan after trying to help out a “friend”. Like Katie, what you will need to do is to come up with a plan on how to dig your way out. Start a second job or side hustling to make extra payments. Sell another asset to help pay off the debt. Cut back expenses by creating a budget and sticking to it! We’ve covered a lot and while there’s a ton that actually goes into your specific circumstances this chapter will give you the basics so you can start the decision making process. Refinancing is not something that happens in an afternoon. You need to get organized and get all your ducks in a row before approaching a lender. Refinancing is a big decision and unless your circumstances have dramatically changed, you need to consider whether you’re a significantly more trustworthy borrower. Someone straight out of college with student loan debt. When they originally took out their loans, they probably had a terrible credit score and therefore got a bad deal on their interest rate. Refinancing student loans could save thousands of dollars on the debt. Last, don’t forget to factor in the costs to originate the loan, the last thing you want to do is refinance and end up losing money in the process. Did you learn anything new or have any take aways from this refinancing guide? And if you found it helpful, don’t forget to share it- it can help a friend!